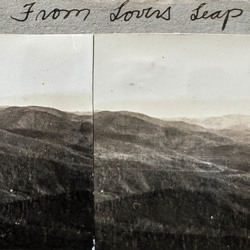 From 1930-1952, the route of the Appalachian Trail in Southern Virginia passed south from Roanoke and Salem, across Bent Mountain, and then back and forth across the old Ridge Road, also known as the Great Wagon Road, until it reached Fishers Peak just across the North Carolina Border. 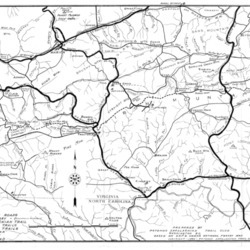 From there it turned north to Galax, crossed the New River at Dixon's Ferry near Fries, then turned west toward Comer's Rock, eventually ascending the Iron Mountain chain and passing southwest to Damascus. 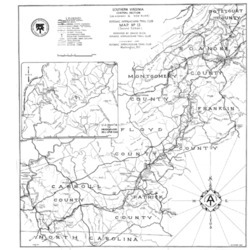 This 300 mile section of the AT vanished in 1952 when the ATC decided to move the Trail west and north into the Jefferson National Forest (the current route). 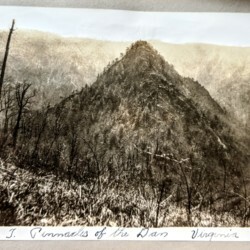 The items depict the single longest portion of the Trail that no longer exists.